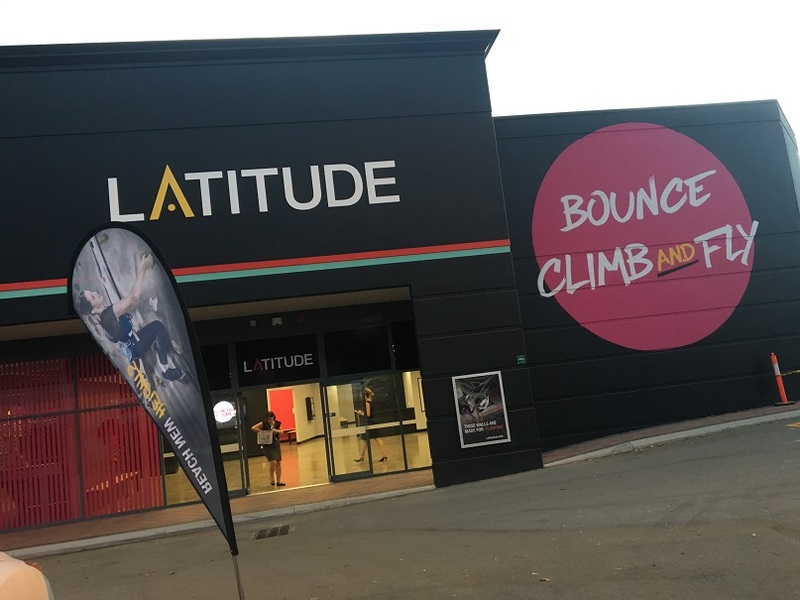 Latitude is Perth's hottest venue for trampolining, parkour and wall climbing all in the one place. 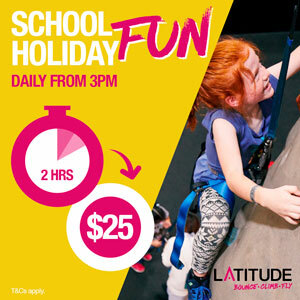 With all this plus a Kids Zone for 18months - 5 years and a cafe, the whole family will love hanging out at Latitude Perth. You won't believe your eyes when you enter this massive venue. It's hard to know where to start, and with sessions in one hour blocks you won't find it hard to make the most of your time. Firstly let's start with the trampolines. 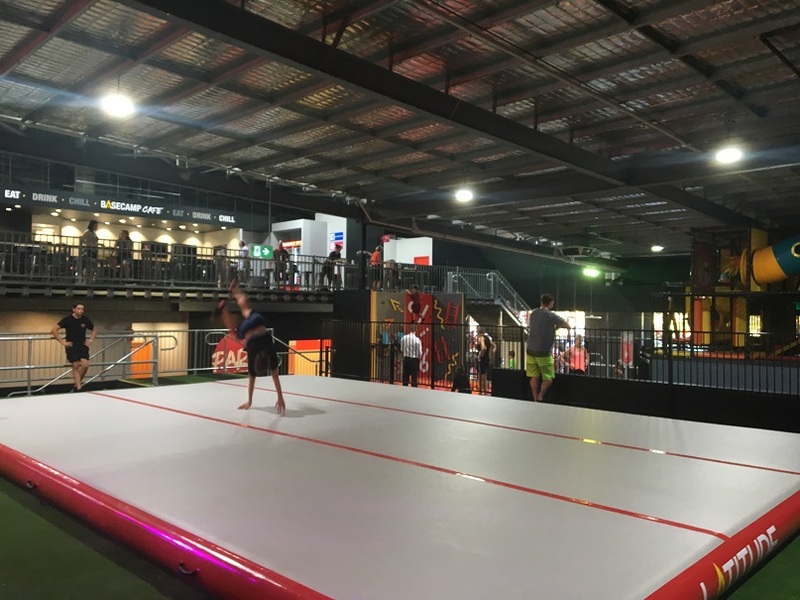 There is a large main arena with lots of trampolines and an include wall. 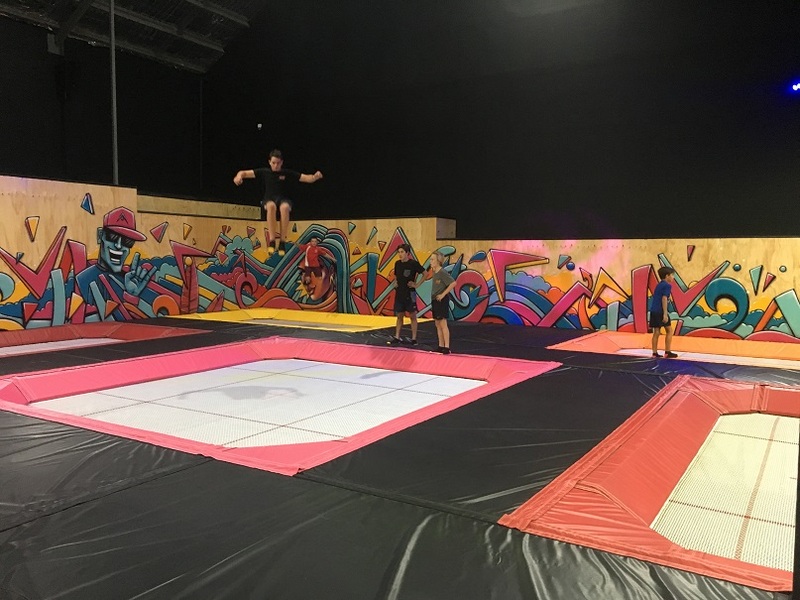 There are a few foam blocks amongst the trampolines so you can incorporate some parkour too. Kids must be over 110cm to bounce here. Each different section has signage with rules and any height restrictions. 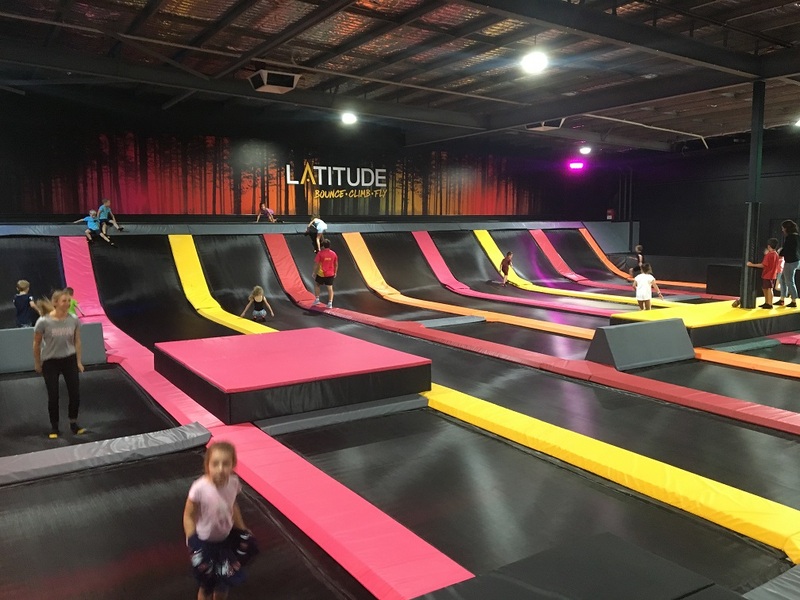 For the performance trampolines, kids must be 125cm or more. This area is for experienced jumpers. Your kids will also love the Air Bag. Here they can bounce then jump or flip onto a giant Air Bag. There is a 125cm height requirement here also and make sure you read the rules about what you are allowed to do for your own safety here. 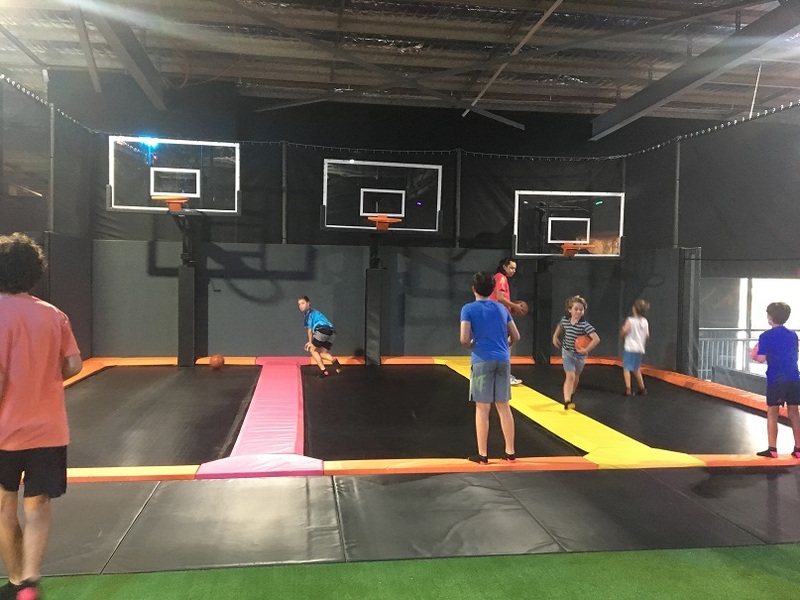 There are so many choices on how you would like to bounce with basketball hoops (these are adjustable so can be lowered for younger children) and an arena perfect for a family game of dodgeball. Younger kids certainly don't miss out with an awesome Kids Zone that's segregated from the main area. 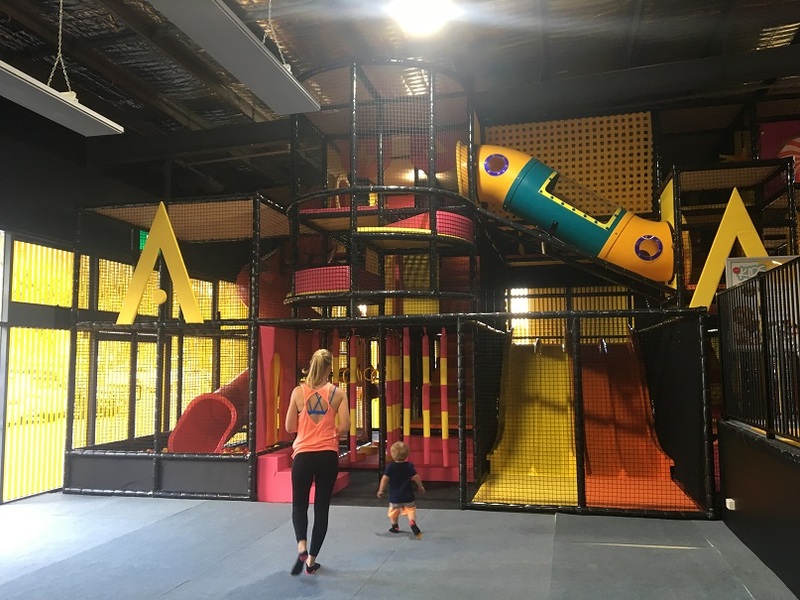 Complete with mini play centre, mini climbing wall and mini trampolines little ones will absolutely love this area. 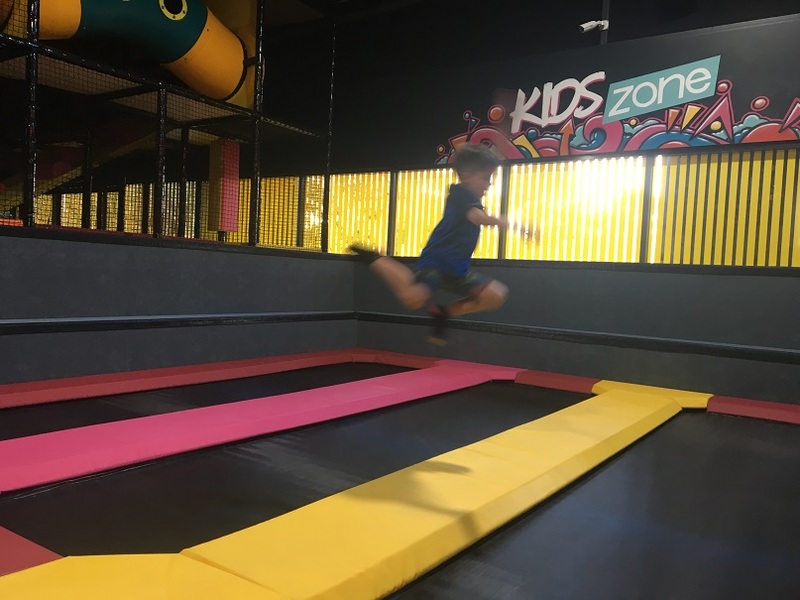 In fact if you are visiting with kids 18m - 5 years you can purchase a Kids Zone pass for $10 for the hour ($7 additional hour) that gives you access only to this area. 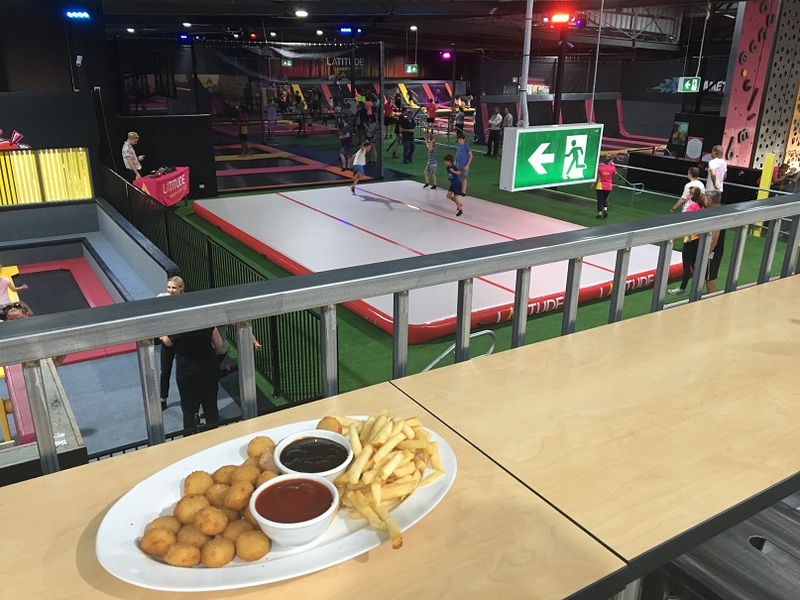 If you visit during the week this pass gets you unlimited access to this area, so at the same price as entering a play centre it makes the perfect play and catch up with friends alternative. It's all enclosed so it's easy to keep an eye on the kids wherever they are within Kids Zone. 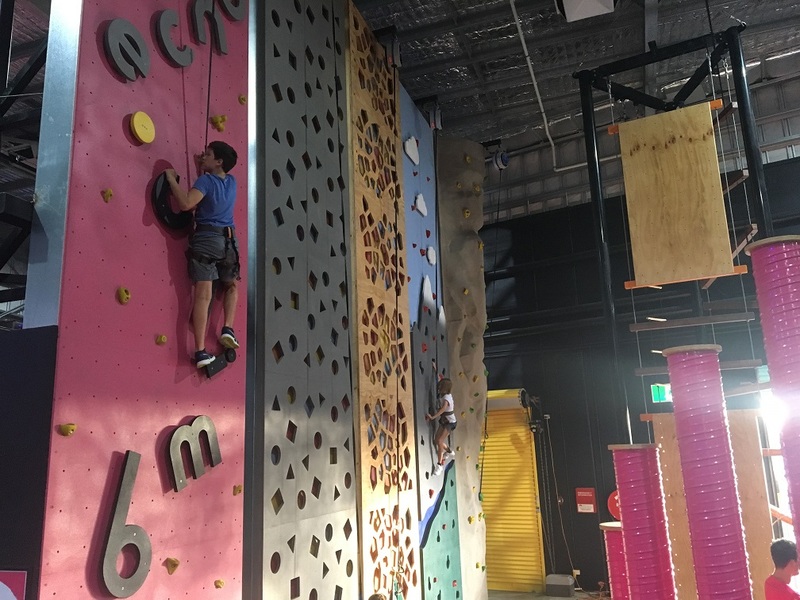 Included in your General Session to the main area is access to the amazing (auto belay - no second person required) climbing walls. Younger children may need some assistance to help with clipping on and off and closed shoes are required for this activity. 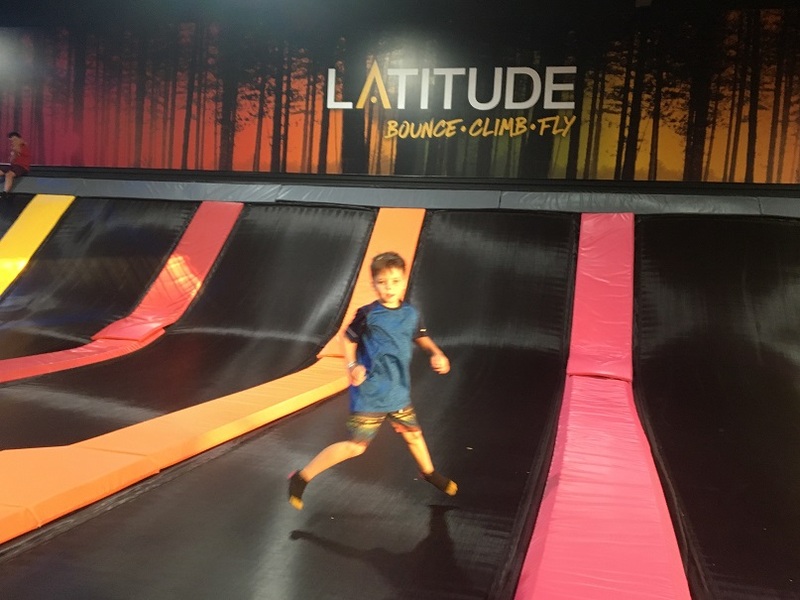 If the kids are up for a bit more of a thrill they will love the elevated obstacle course. This is not for the feint hearted. 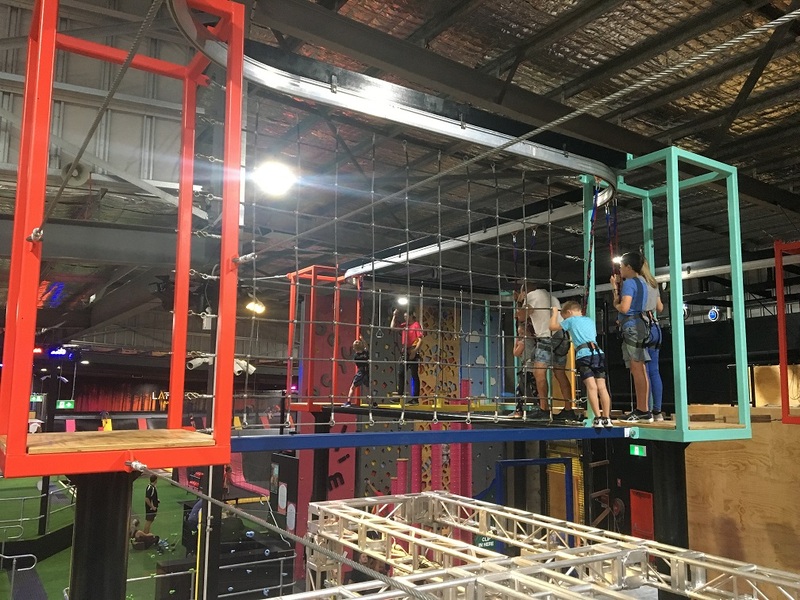 Access is via a set of stairs that takes them up, then they clip on and make their way around the obstacle course that's elevated several feet in the air. This one also requires closed shoes. 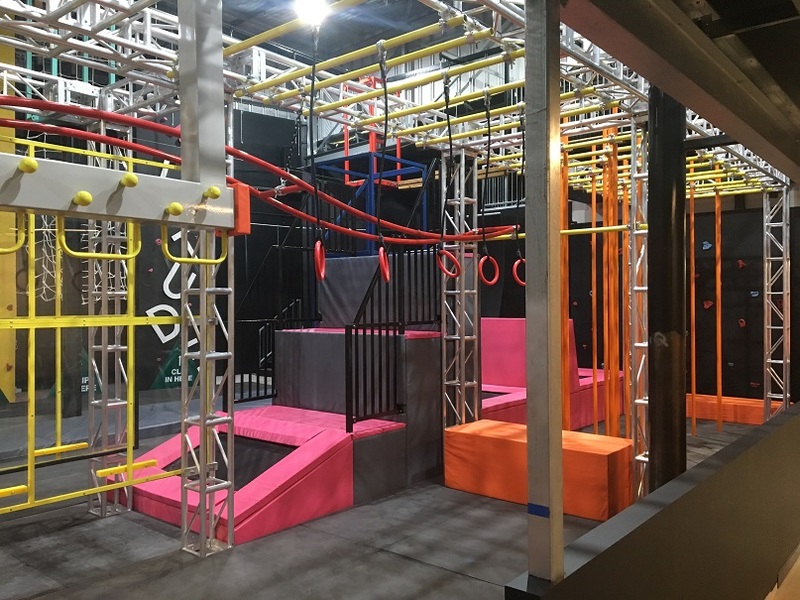 Below the obstacle course is a parkour course for the budding ninja in your family. 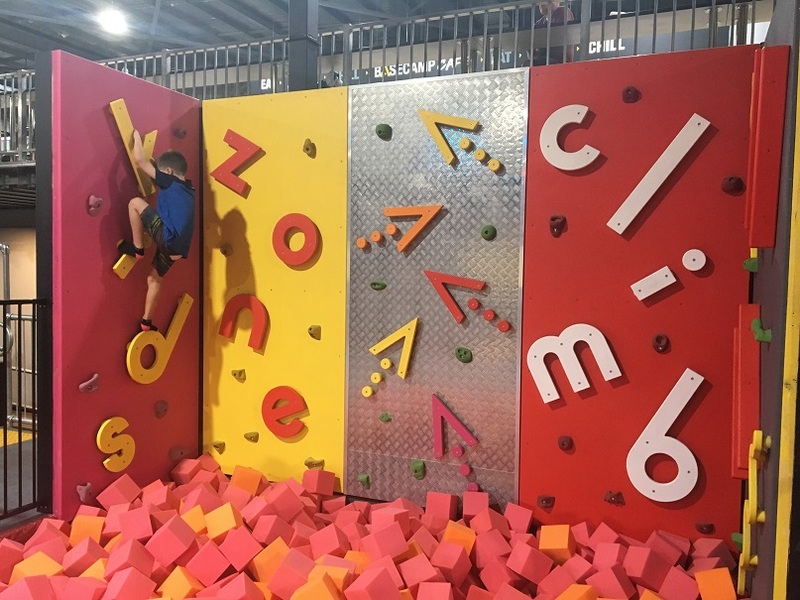 With rings, wall climbs, box jumps and more your little ninja will love putting their parkour skills to the test here. 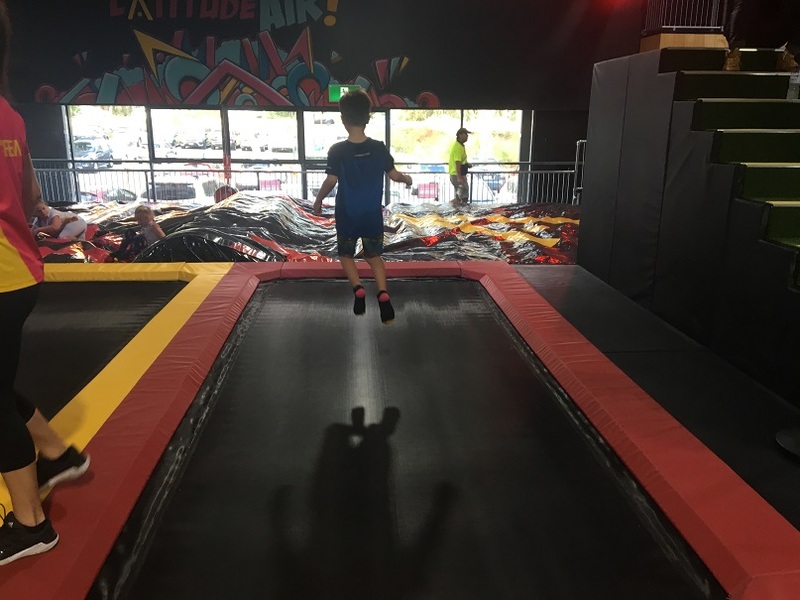 This gymnastics mat was also popular with a soft but firm surface to practice handstands, rolling, cart wheels and some of those fancy gymnastics and parkour moves. 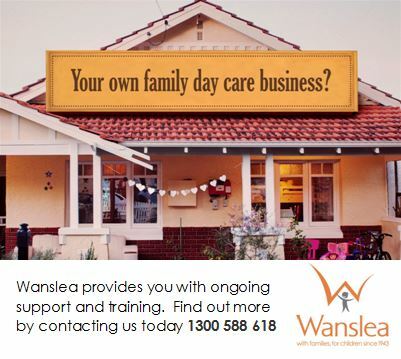 Of course a family activity centre wouldn't be complete without a cafe. The Basecamp cafe is elevated above the centre with a large viewing platform that looks over all the play areas. If you have bigger kids and you don't want to join in or you just want to take some time out this is the place to be. 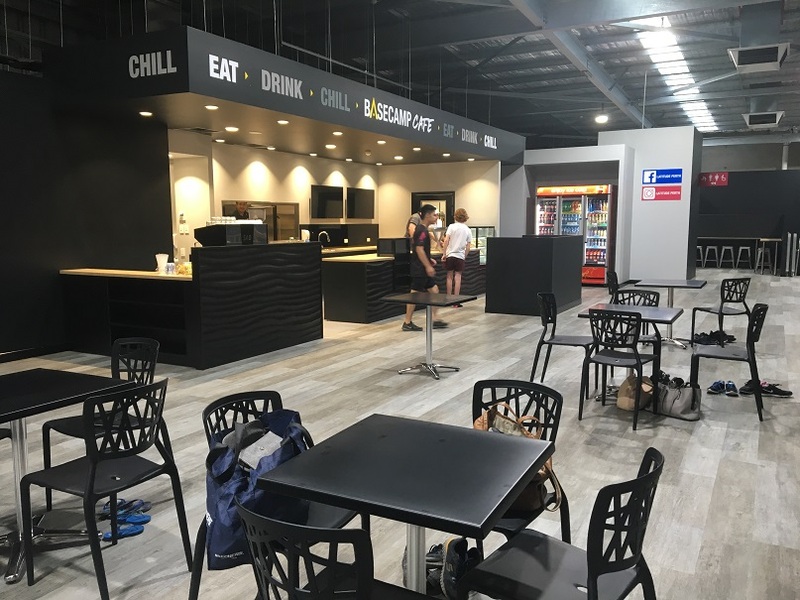 Basecamp offers a range of food and drinks and you can also purchase the Basecamp Combo which includes a burger, chips and drink with your entry. Latitude is open daily (late in the evenings Mon - Sat) and can be found right outside the Edgewater Train Station. There is heaps of free parking and General Entry is by the hour for $20 (with discounted additional hours, and mid week student discounts available). We recommend spending at least 2 hours if you want to enjoy some chill time at the Basecamp Cafe too. Latitude jump socks are required to be worn, these are $2 but you can keep them and bring them to use next time you go. 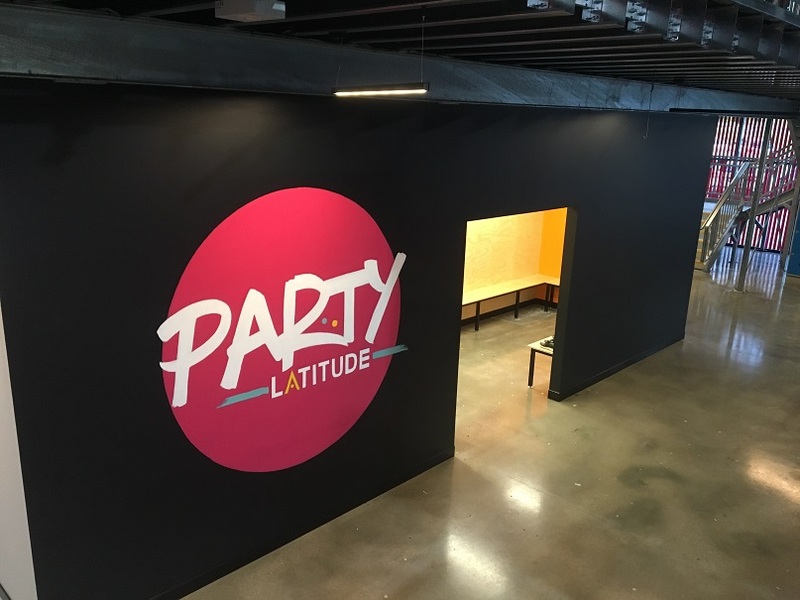 We recommend you book online (this is essential for group bookings) as Latitude Perth to ensure you can get into your chose session. 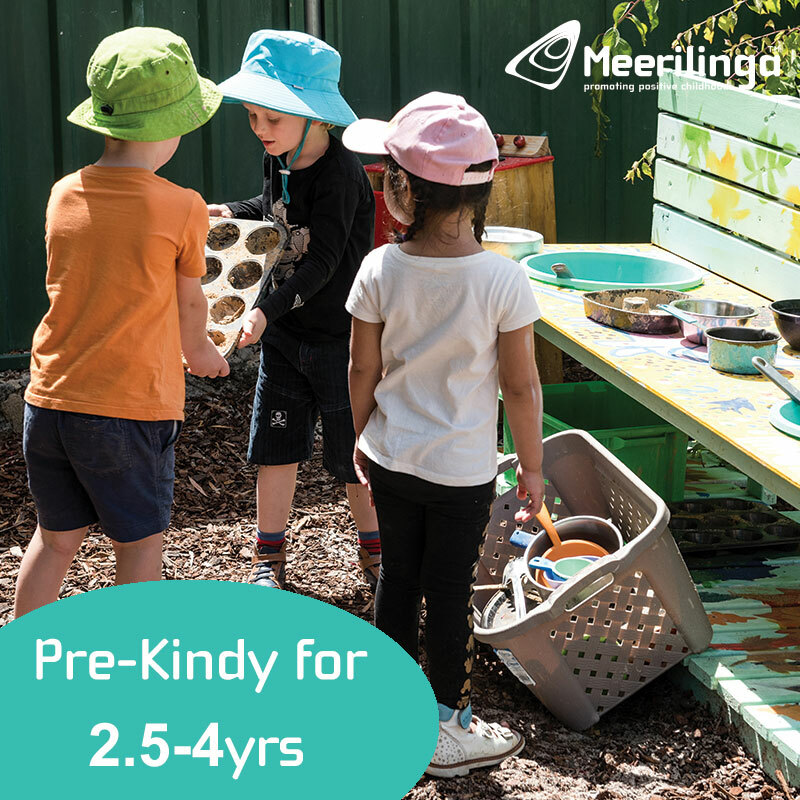 Multipasses are available and of course if you want to book a party, you can call or book your party online with Kids Zone parties starting from $25pp. Your family will have a seriously good time at Latitude Perth. 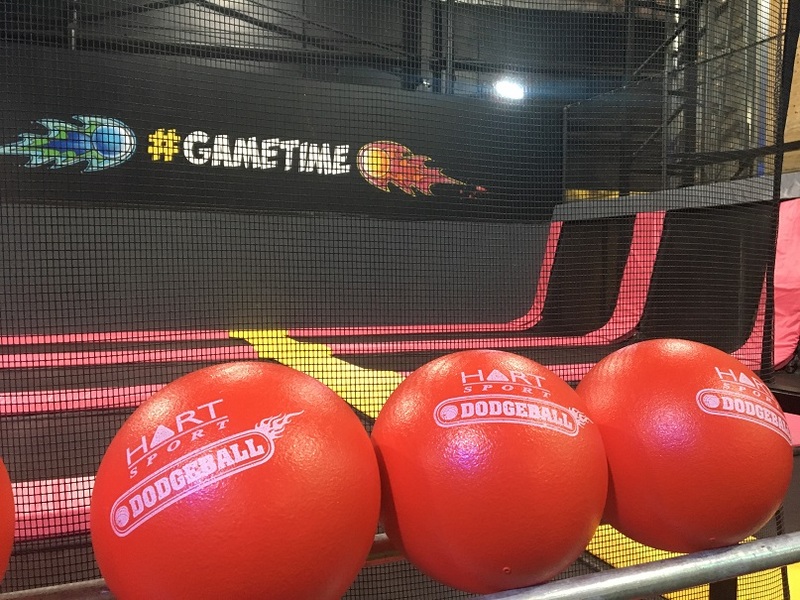 There's something for the whole family and it's fun all year round, any day of the week. It's a great way to keep the kids active and to be active together as a family. Please note all prices correct at time of publishing. Please refer to website (link below) for up to date prices and opening times.